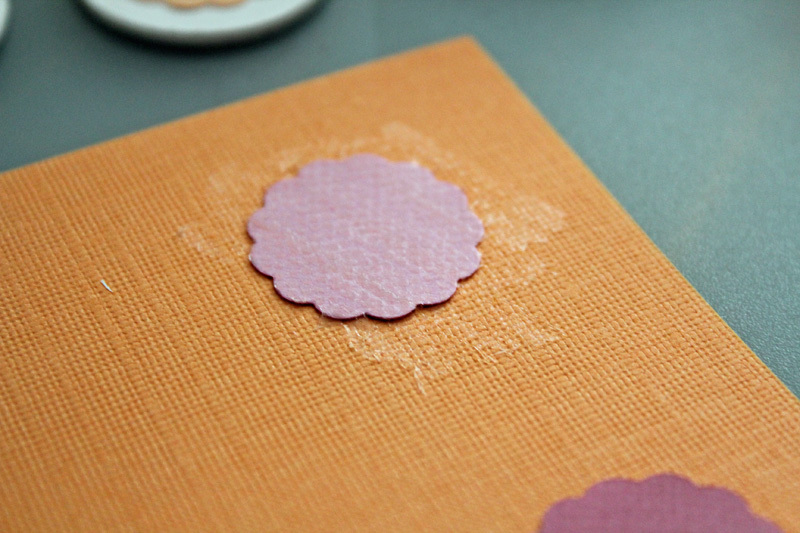 I’m so excited to share this project with you today! I’m Carolina from Always Expect Moore, where I craft, sew, and create… between trying to run a household of boys. My oldest just turned 4, and is starting preschool. He knows his colors, his shapes, and his numbers, but is having trouble with his letters. 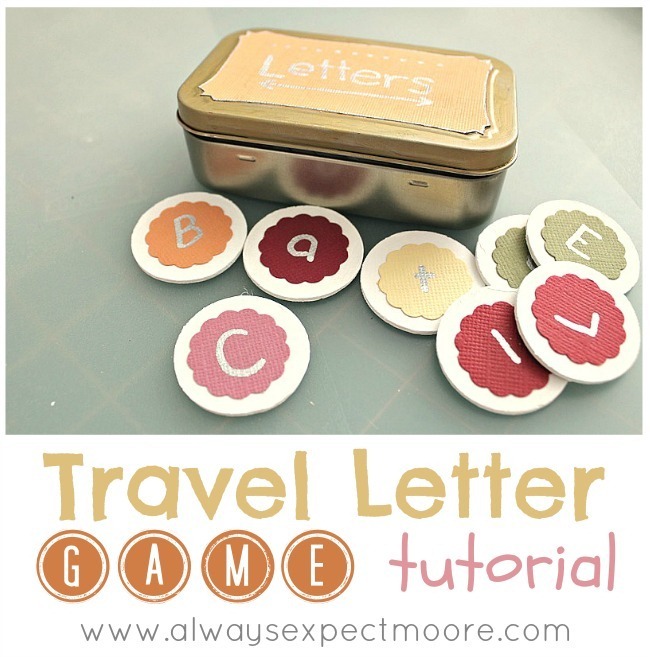 To help out, I created this travel letter game so that wherever we are I can whip out the letters and work with him on them. 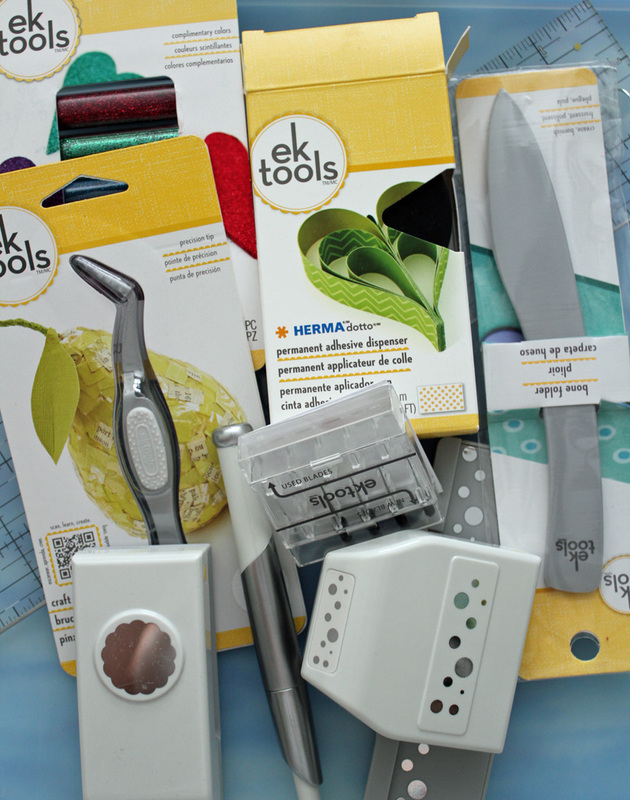 The awesome folks at EKSuccess gave me these fun EKSuccess tools to play with, and I put them to good use! 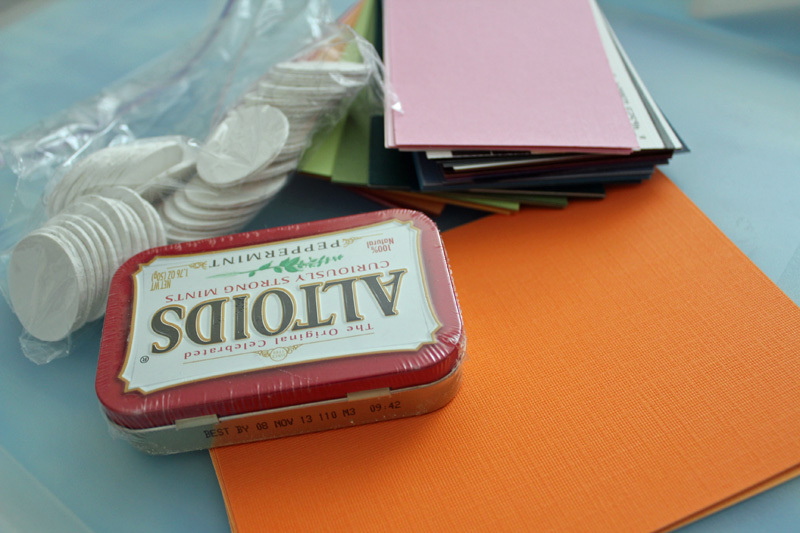 I used a tin of mints, some round wooden circles I had already painted, and some heavyweight scrapbook paper. 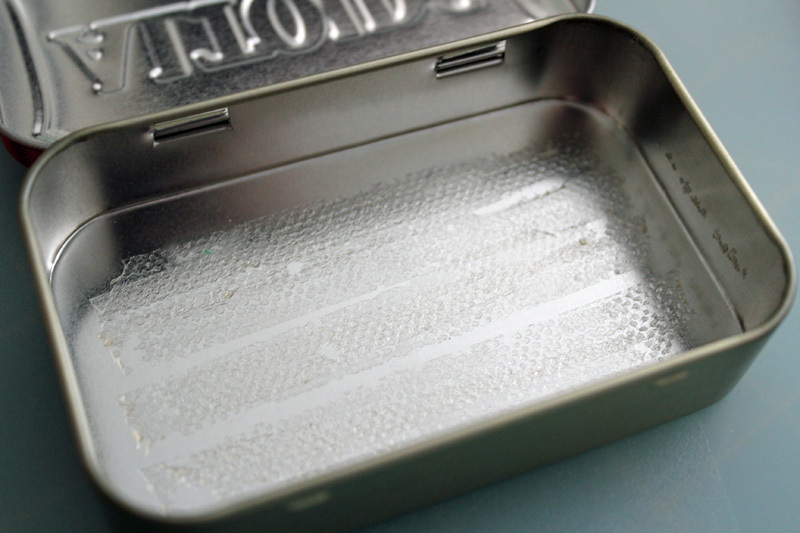 The tin was just over 2″ wide, so I used the ruler and blade to cut two strips just under 2″ wide.I scored one strip at 1/4″ intervals and the other at 1/8″ intervals and then folded them accordion style. I udsed the adhesive runner on the inside to adhere my paper. 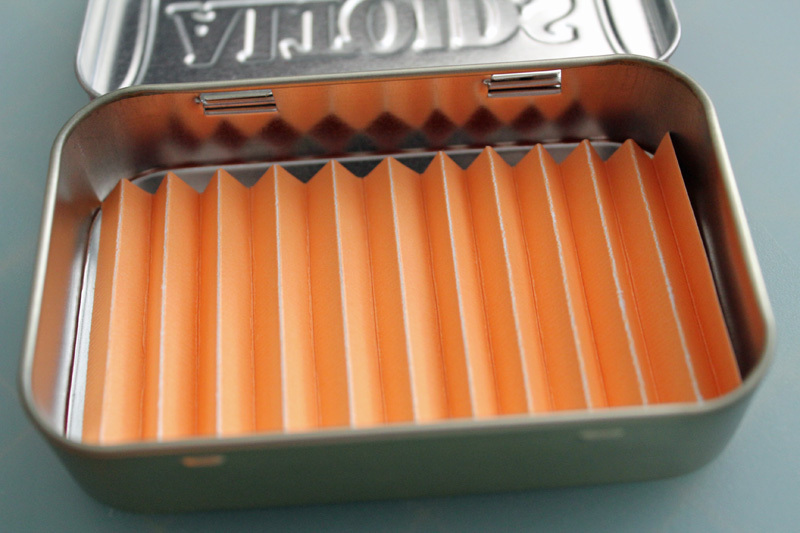 The 1/4″ fold went on the bottom, the 1/8″ on the top. These will act as a cushion so that the pieces don’t bang around in the box. My purse is noisy enough without the extra clanging! 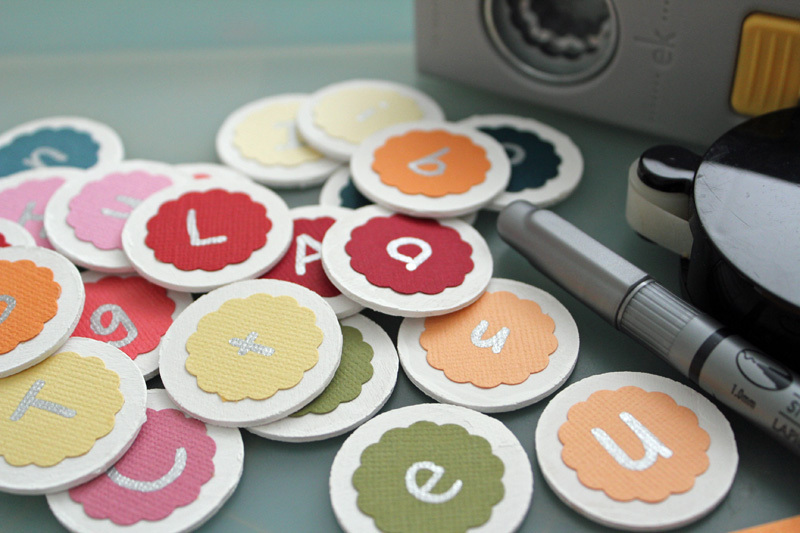 From the scrap paper, I used the scallop punch to cut sets of circles. I put an uppercase and lowercase letter on each set with the silver pen. 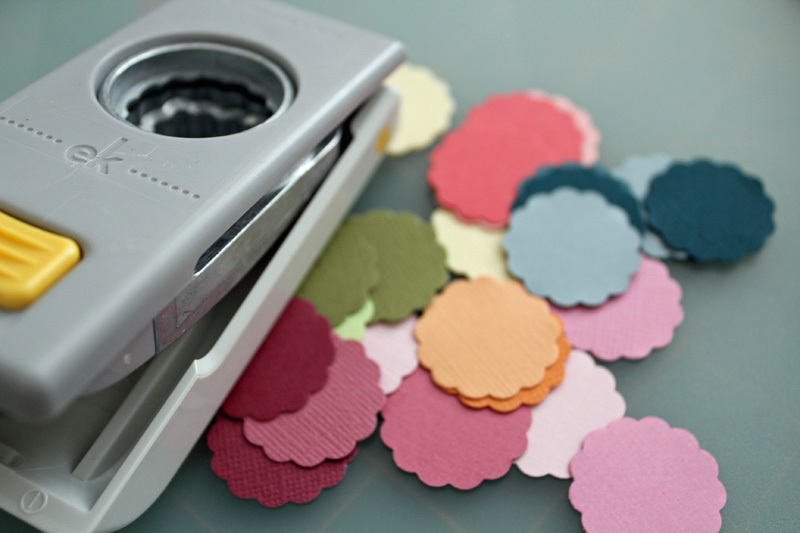 I put the scallop punched circles upside down, then used the tape runner all the way across the edges would stick down. The sets were adhered to one side of the wooden circles. 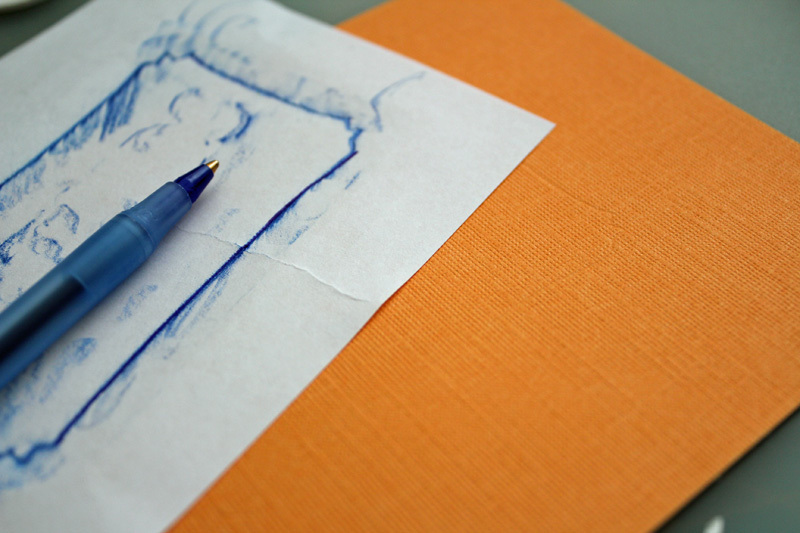 Using regular paper, I made a rubbing of the logo, and then traced the rubbing with a ballpoint pen, on top of a piece of my heavyweight construction paper. 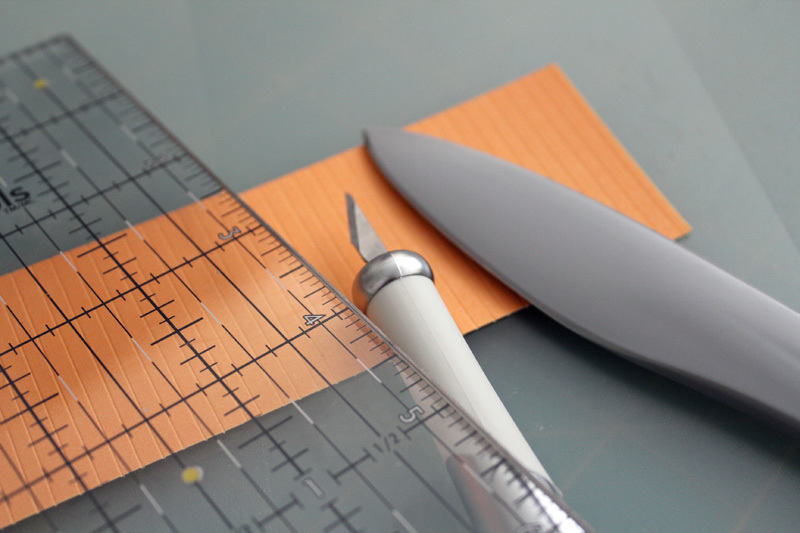 I then used the fine tipped craft knife to cut out this shape. I used the gold pen to color over the red part of the tin, and the silver pen to write on my label, then adhered my label with the adhesive. 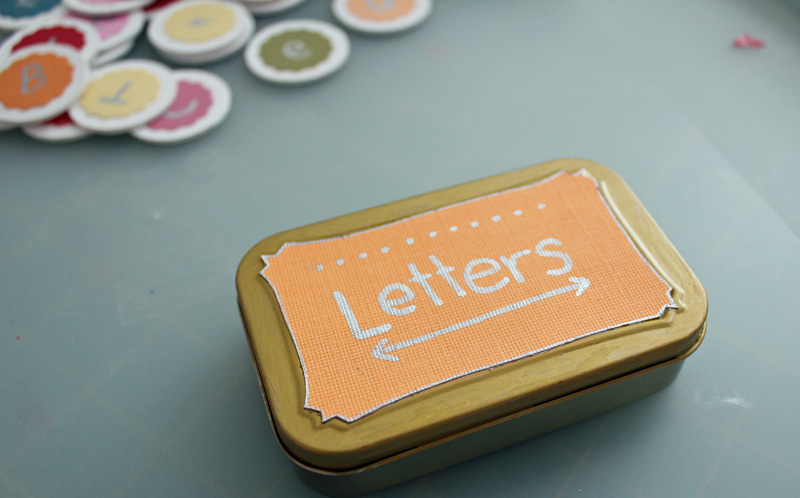 I can fit 6 sets of letters in the tin at a time, allowing me to mix up the game, but not make it overly complicated with too many letters at once. Perfect for my preschooler. We can play matching games, write words, pick a letter and find objects that start with that letter… there is an unlimited number of ways we can use our letter tin. How would you use this with the little one in your life? 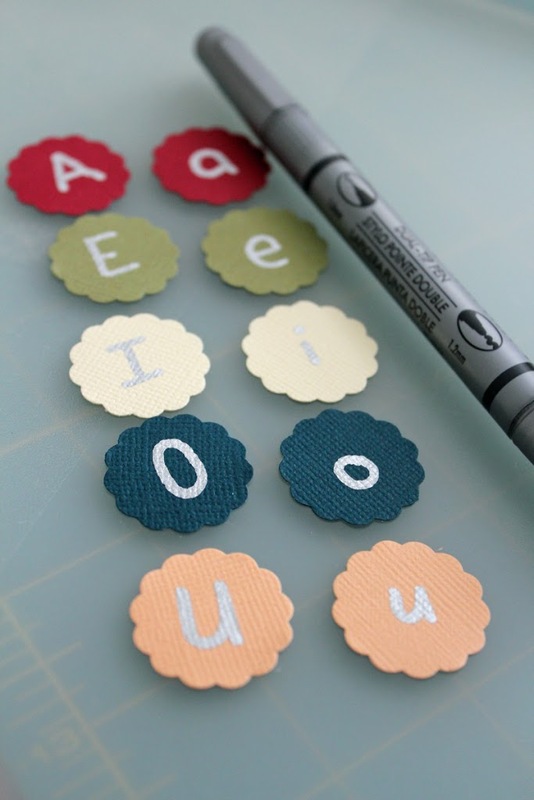 There are lots of other fun ways to use these tools… check out all these projects! very nice tutorial and lovely work.